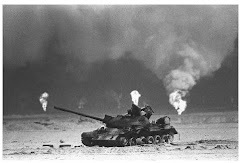 The percent of disability claims approved by the Veterans Affairs Department for Persian Gulf War-related illnesses has declined steadily in the past five years, resulting in record lows, according to a new report from the advocacy group Veterans for Common Sense. In the first two quarters of fiscal 2015, VA denied nearly 82 percent of claims filed by Gulf War veterans for two main conditions presumed to be connected to their military service — chronic multi-symptom illness and undiagnosed illnesses. In 2011, the denial rate was 76 percent, Veterans for Common Sense director Anthony Hardie said. The low approval rates, which "approach the limited odds of winning a scratch-off lottery," are a "complete contravention of 1998 laws passed to improve Gulf War veterans' ability to have their claims approved," Hardie wrote in testimony to two House Veterans' Affairs subcommittees Tuesday. "If we measure VA's success by how it has approved Gulf War veterans' claims 25 years after the war, VA has failed most ill and suffering Gulf War veterans," said Hardie, an Army veteran who served in the 1991 war as well as in Somalia. 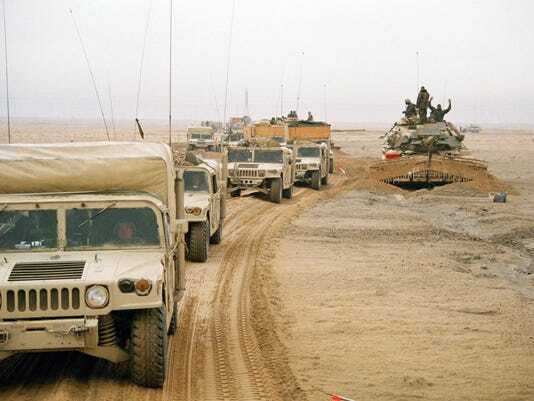 Nearly 700,000 U.S. service members deployed to the 1991 Gulf War, and 54,193 have filed disability claims for illnesses related to their service, according to a 2014 VA report. Roughly a fifth of those claims were granted, and of the denied claims 42 percent were approved for another condition other than a presumptive Gull War-related condition, according to VA.
To qualify for disability compensation for Persian Gulf War-connected conditions, veterans must have developed one of a number of infectious diseases during their service or have undiagnosed chronic symptoms or a chronic disability that began either during service or after. Currently, the conditions must appear before Dec. 31, 2016, to an extent that they are at least 10 percent disabling, existed for at least six months and not be attributable to any other circumstance or cause for consideration. But during a joint hearing of the House Veterans' Affairs oversight and investigations and the disability assistance and memorial affairs subcommittees, veterans advocates pressed for an extension of the year-end deadline as well as improvements to the claims approval process. Citing a recent report from the Institute of Medicine that found two conditions occurring in Vietnam veterans — bladder cancer and hypothyroidism — likely are linked to exposure to the defoliant Agent Orange more than 40 years ago, advocacy groups and members of Congress said the deadline should be extended for at least five years if not indefinitely. 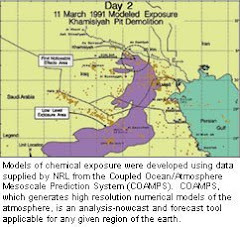 "VA has repeatedly extended the end date ... due to scientific uncertainty regarding the time period in which Persian Gulf War veterans have an increased risk of suffering from chronic illnesses. ... Little has changed with respect to the level of scientific certainty. Due to this continued state, VA should again extend the date of presumptive service connection," said Richard Spataro, director of training and publications for the National Veterans Legal Services Program. A VA official said the department is taking the steps needed to extend the deadline but the process has not been finalized. Dave McLenachen, acting deputy undersecretary for disability assistance at VA, also said the department is working to improve claims processing for Gulf War veterans but its own internal reviews indicate a 90 percent accuracy rate for claims decisions. McLenachen added that VA has taken steps to improve and accelerate claims processing but he would return to his office to "see whether there was room for improvement." "I intend to look carefully at the testimony of the other witnesses and carefully consider their suggestions," McLenachen said. Rep. Mike Coffman, a Colorado Republican who served in the Persian Gulf War, pointed out that the claims process for Gulf War veterans warrants improvement since VA is failing to expedite claims designated as presumptive, a moniker that is supposed to accelerate the process, not delay it. "I am disappointed that the law was passed that a specific set of conditions is supposed to be presumptive and the VA does not appear to be following the law," Coffman said.